Tonight, we’re giving you the chance to win books that will help you get closer to all things Korean! Talk To Me In Korean sponsored our special anniversary giveaway with five books split into two giveaways. There’s a beginner one, which includes a guide to Korea’s writing system hangul as well as a Level 1 textbook and workbook combo, while the more advanced one contains two books, one which features must-know Korean idioms and a second that walks you through reading the news in Korean. 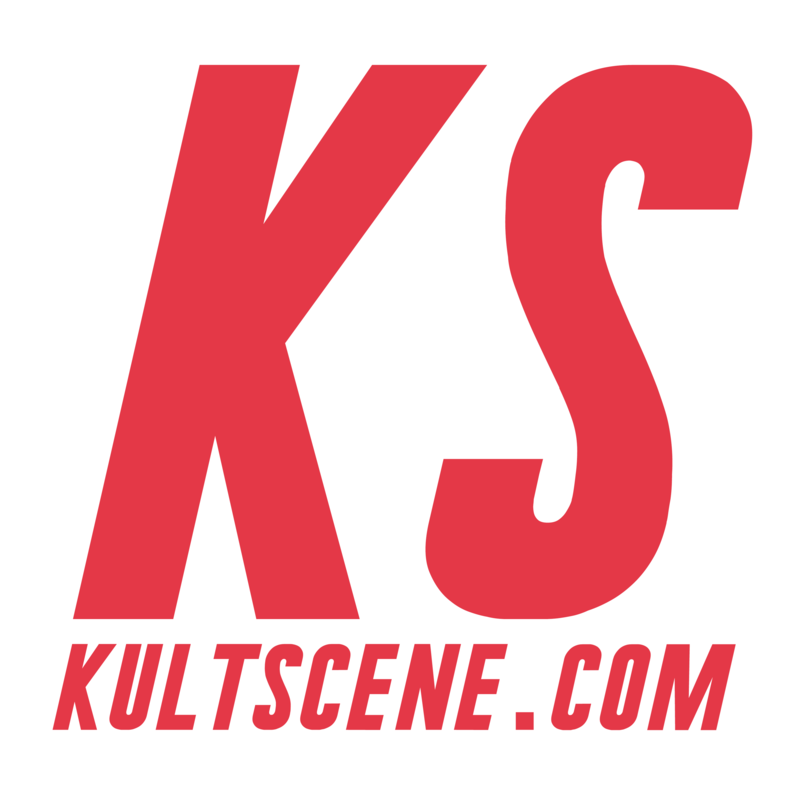 To enter, just follow KultScene on our social media accounts and comment on our site using the plugin below. However, because of shipping concerns, this giveaway is only open to readers in the United States and its territories. The winner will be chosen randomly and will be announced on May 23 at midnight EST through our Facebook and Twitter, so make sure to check back. We want to thank Talk To Me In Korean for sponsoring the giveaway, so check out their site, Facebook, Twitter, and YouTube to get Korean lessons today! Be sure to tell us what you love about the Korean language below and please subscribe to the site, and follow us on Facebook, Twitter,Instagram, and Tumblr to keep up with all of our posts. No one ever said being an Korean idol was easy. Starting from predebut, trainees endure endless hours of choreography and vocal training (and sometimes even language and personality training), and pressure from others to succeed. Dieting is almost inevitable, and while some companies grant their trainees the right to date, there is barely any time to, what with studies on top of everything. But all this pales in comparison to the anxiety that probably every trainee has felt when they let the reality that debut is not for everyone sink in. Even after all the hardships, what could remain are wasted youths and dead dreams. Or, on the other hand, you made it. Congratulations on surmounting the first hurdle. Your bank account isn’t in the red anymore and you got your own Wiki page now. But that also means there is more expected of you. Idols seldom escape the diet treatment, and looks will always remain a factor. What’s new are the demanding schedules and fans, some of them sasaengs who take their passions to an extreme. All idols have their fair share of sob stories to tell, but some really take the cake. Whether it’s coming from humble beginnings or a dysfunctional family or just a stroke of sheer rotten luck, these are the fighters who truly deserve their place now. Growing up in the countryside where residents admonished those who wanted to become a celebrity, Girl’s Day’s leader Sojin ran away from home when she was 20-years-old in order to pursue her dreams. The idol’s parents were against her wanting to become an idol as well, which was also exacerbated after they were victims to a ghost company who promised to train the starlet but ended up scamming them for 2 million won. With nothing but her bags and a note she left in her father’s shoe explaining her decision, she set off to Seoul where she stayed at a friend’s dorm. In order to support herself and her aspirations, Sojin was forced to take up various and often arduous jobs, with everything from being a phone consultant to a server at a pub to factory worker. Ultimately, the Girl’s Day member was able to enroll herself into an academy to learn singing and dancing professionally and join Dream Tea Entertainment, her present label. Super Junior just would not be Super Junior without their evil maknae (youngest member) Cho Kyuhyun, but that’s the reality that almost happened back in 2007. After a near-fatal car accident, which also involved fellow members Leeteuk, Shindong, and Eunhyuk, and two managers, Kyuhyun was rushed to the hospital where he spent four days in a coma and six days in the ICU. As the member who sustained the most damages with a fractured hip, pneumothorax from broken ribs, and facial bruises and scratches, he had a slim 20 percent chance to live. And, as if the odds were not already against him, his career as a singer almost came to an abrupt halt as well when doctors proposed an operation in which they make an incision in his neck in order to save his damaged lung. Needless to say, the doctors looked for another alternative after his father adamantly refused the procedure. Fans only have Papa Cho to thank for all the ballad songs that Kyuhyun continues to bless us with with his warm voice. Everyone has their reasons of why they want to pursue the idol life, but Super Junior’s leader Leeteuk’s is probably one of the most moving. Before his five years as a trainee, his misfortune started when he was a child. Raised in an unhealthy family under poor conditions, his parents frequently fought and his father often physically disciplined the singer. Leeteuk harbored many resentments and fear towards his father, which only hardened his resolve to become successful. By pursuing happiness, he hoped to change his situation. And as the face of one of South Korea’s most popular boy groups, among other things, he did exactly just that. Unfortunately, Leeteuk’s father committed murder-suicide while taking care of Leeteuk’s grandparents in 2014, causing the idol much anguish but he has been able to show a happy face for his fans. It’s hard to believe that such a pretty face once toiled away at various odd jobs. But JYJ’s Jaejoong life has been filled with anguish. After being adopted and raised without knowing he wasn’t his family’s biological child, Jaejoong moved to Seoul by himself at the young age of 16 in order to take part in the SM Entertainment auditions, but as it became apparent life in Seoul was not going to be easy. In order to make ends meet, he became a movie extra – playing the role of a Chinese Red in “Taegukki” – and sold chewing gum in restaurants to pay off his 150,000 KRW rent. Other ways he would cut back included walking instead of taking public transport and eating the leftovers at the restaurant he waited at. With the wages he earned, he first and foremost paid for his training lessons before setting some aside for basic needs. A great exemplar of how someone took their dreams into their own hands, Jaejoong definitely earned his fame. Sandara Park’s dark past is well known, yet it doesn’t make it any less depressing. Before she rose to fame in Korea as a 2NE1 member, the idol was already well-known in the Philippines after finishing second in the reality-based talent show “Star Circle Quest.” After some years, however, her popularity waned, and when it did, her father stole their family money and left for another woman. Since she was the eldest of her siblings, Dara became the breadwinner of her family, paying for the education of her brother (formerly a member of MBLAQ) and sister and providing food for everyone. She even bailed her father out of jail in 2007 after he failed to pay back P390,000 to a businessman. Despite her father’s betrayal, Dara proves that she still has a heart of gold. Perhaps her good karma might have something to do with how successful she is today. Much like many idols, Girls’ Generation’s Tiffany’s father was against his daughter’s childhood dream of becoming a singer. That didn’t stop the young 15-year-old from hopping on the next plane to Korea when she passed the 2004 SM Auditions in Los Angeles, though. Since she became independent so early in her life, she resorted to teaching English in order to support herself. Moreover, growing up in the States, her Korean was not as polished as native speakers, so she also had the additional task of practicing the language. Of course, her efforts paid off in the end. Upon debut, she chose the stage name Tiffany – her real birth name is Stephanie – because that’s the name her mother preferred for her. For much of her early career, she sidestepped questions about her family back home in America until in late 2009 when she revealed that her mother had actually already passed two years before she became a trainee. Taking that into perspective, along with the fact that she did not have much of a support system other than the other members and their family while she was alone in Korea, it only makes Tiffany all the more admirable. If there is one thing everyone must know about iKON’s Bobby, it’s that he is as filial as it gets. Counter to the bad boy façade that he puts on stage, he is actually a momma’s boy at heart. Following elementary and middle school, the rapper arrived at Korea alone after passing a YG audition in the States. He did not know much people while he was there and missed his family back home, so naturally, he spent his days communicating with his mother online. In the past, through his lyrics and his variety show appearances, he has expressed how important his mother is to him and how he swore he will come back for her despite their economical situation. Everyone must have known of his circumstance, including his company who requested that all the earnings from his win on the South Korean rap competition show “Show Me the Money 3” be given to him without any deductions from agency fees so he could support his family. With the 100 million KRW from his win, he was able to move his family from their home in Virginia to their new abode in Seoul last year. For the first time in five years, Bobby and his family were finally reunited. Actor and former MBLAQ member Lee Joon came from very humble beginnings in order to get to where he is now. Due to his poor family background, the Seoul Art High School student was unable to go on his school trips and was only able to afford one dancing outfit and a single pair of worn out dancing shoes, which often smelled from not drying properly from the night before. Ashamed, his situation only fueled him to work harder. The idol went into high school at the lowest of his class, but by the time he graduated, he placed second in his school. He even got accepted into one of the best art schools in Korea, the Korea National University of Arts, which prompted his friends who once out casted him to view him in a new light. Born to an American mother and a Korean father, Seventeen’s Vernon struggled with racial discrimination not only while he lived in the States, but also in South Korea. In 2008, when the rapper was only 10 years old, he sat down to record a video about how he has been alienated, being called a “halfer” in the United States, and being stared at for his Western features in Korea. But even at such a young age, Vernon was able to show his maturity, ending on the note that people should give others more respect and should not judge others based on their appearances. Besides his personal hardships, his group as a whole has also endured a lot, who finally debuted last year after an expected debut in 2013 and after losing several members during their four years of preparations. As one of the longest-serving trainees in the K-pop industry, 2AM’s Jokwon has done enough time to have a term coined after him, “the Jo Kwon Effect,” which credits success to a successful driving force. The idol, who chased after his dream of becoming a singer in order to help his less-than-well-off family succeed, overcame 2,567 days, or eight years, of being a trainee. With a debut that was perpetually being postponed, he admitted to feeling embarrassed when others would ask him when he was going to debut and lying about his debut date. Jo Kwon, who spent his entire adolescence training for an uncertain debut, also confessed that his teen years were full of pain, slumps, and depression. Fortunately, his endeavors were not all for naught, as 2AM finally made their debut in 2008 with Jo as their leader. Did we miss any other hard working Korean idols? Whose story would you like to include? Share your thoughts in the comment section below and be sure to subscribe to the site and follow us on Facebook, Twitter, Instagram, and Tumblr to keep up with all of our posts. Korean beauty masks are all over the place nowadays. Even American and other western websites have hopped on the bandwagon, so if you’re not using them already, well, why not? After living in Korea, I couldn’t imagine going a week without at least one mask, but a few days ago one of our writer’s sent me an article about one writer who decided to try two sheet masks a day for a week. That seems like a bit much, but it got me thinking about the fact that I have hoarded way too many Korean facial products for my own good (if there’s such a thing). So I decided to challenge myself: Ten masks in 10 days. But I couldn’t just do 10 boring sheet masks in 10 days, oh no. Instead, I had to make it harder. Ten different types of masks in 10 days. Not too difficult. I could just use an animal mask one day and plain one another day, right? Not quite. Instead, each day, I wanted to try something new. 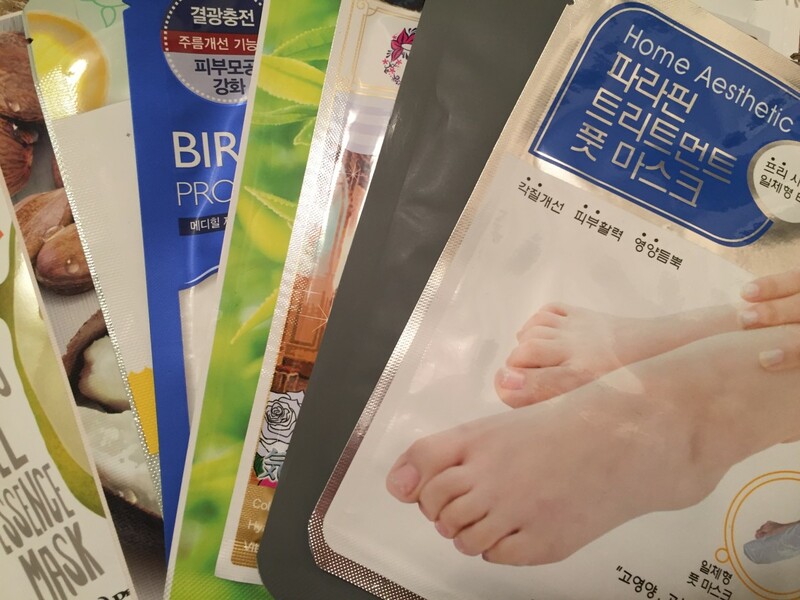 So here are the sheet masks, the night masks, the hand masks, the masks you never could have imagined… Some are new to me, some I’ve tried before, but everything on here is a type of Korean mask. Disclaimer: All masks featured in this article were purchased by me for personal use. Pros: It was a good experience, even though it was my first time using a rubber mask. I really enjoyed how it was like baking; it was like Duncan Hines for my face! After it was all dry, I was able to peel off most of the mask pretty quickly, in large clumps, so it was a pretty quick overall experience. I don’t know if I’ll try the gold one again because I’m afraid I reacted badly to something in it, but I’d love to try other rubber masks in the future. Cons: My face felt dry afterwards rather than hydrated and it was hard to pull some of the remnants off at the end, although overall I definitely would like to try another rubber mask. The next day, my skin was really soft, but still felt slightly irritated. Pros: Goes on easy, just like any other cream product. It smells really nice, and when I woke up in the morning, my skin felt pretty supple. This was my first time using it, but I’m going to definitely start using this sleeping mask regularly. Cons: I honestly had a hard time getting the packaging open and nearly had to grab a knife to stab through the seal. Additionally, I don’t love feeling sticky when I wake up and I woke up feeling as if my face had been drenched in sweat. Once I washed my face off with cold water though, I felt much better and my skin definitely felt nicer than it does most mornings. Pro: THERE ARE PENGUINS ON THIS. No, but seriously. There are penguins on my face mask! Okay, but as for the actual mask. I really like this sort of gel mask, where there’s a lot of elasticity. I did one recently that felt like I was putting a mask of ziploc containers on my face; the material was that harsh. However, when this one was was on my face, I could feel the mask gradually lose its moisture, so I knew when it was time to take it off. And afterwards, my skin was really soft. Cons: The hydration of the mask didn’t go so smoothly. Towards the edge of the mask, it was still really wet when the rest of the mask was 100 percent ready to be taken off. I ended up rolling the mask into a ball and rolling it over my face to spread the moisture, which is definitely not written on the directions. Pros: I’ve used this before — usually once a week (thanks NYC streets!) — as well as a similar one on my hands, and really love it. It makes my feet feel like they’ve just been massaged with a lot of moisturizer. A bonus is that these ones are like booties themselves, instead of have an extra plastic wrapper that you have to add after the initial bootie, so they’re easy to get on. I wouldn’t suggest walking around the house, but you don’t have be bound to a specific spot while using them. Cons: I’ve used these a few times and the stickers that come with the booties to seal them almost are always completely too drenched, so I feel like I’m losing out on a bit of the moisture. Pros: My face felt nice and clean after using, but I felt like it maybe should have been a exfoliating scrub and not a pack. It was really goopy, which some people may like since it holds in more moisture, but it just seemed heavy to me. Cons: See above regarding the texture, plus the smell was a bit off-putting since it smelled exactly like peach yogurt (some people may like that too!). Pro: This is pretty much a basic sheet mask, so if you have never done one before and want to try your first Korean sheet mask, The Face Shop’s sheets in general, not just the character masks, are a good choice. They contain a lot of moisture and are really easy to unfold. The sheet itself is pretty thin, so even while you feel like you’re absorbing the moisture, your skin can breathe. Cons: Most Korean sheet masks are similar, but I’ve never had to manipulate a mask as much as this one to cover beneath my eyes and the space between my nose and lips. (I actually pulled quite a big portion of it over my hairline so that the majority of my skin was covered). It may have been necessary for the animal features, though. Use these about once a month usually. Pros: These are essentially sheet masks, pint-sized for just beneath your eyes. Pretty basic and simple to use. I have dark circles under my eyes and they don’t really seem to do much for those, but I don’t see any bags (which is surprising, given my general lack of sleep so I’ll give the eye patches that). Cons: Do not get the liquid into your eyes; it stings. Also, be careful when you’re taking them out. The first time I couldn’t get both pieces of plastic off of the cotton, so I thought it supposed to add texture. It’s not. Pros: I have very large pores and I’ve been using this mask for a few years. The clay feels like clay, so I like that instead of some of the liquid “clay” masks I’ve tried in the past. It goes on really smoothly and if you’re careful, you can literally cover your whole face; I’ve put it over my eyes on numerous occasions and it doesn’t cause any irritation. Cons: It doesn’t come off so neatly, so make sure to use a wash cloth otherwise you may end up with small bits of clay all over your face for the next few hours. Pros: I’ve never used a hair mask/wrap before, but I know Koreans spend a lot of time and money on hair treatments, so when I saw this at Urban Outfitters, I decided to give it a try. I don’t have that many split ends, but they’re always a problem in between haircuts. Cons: Aside from a bit of difficulty to make sure all of my ponytail was in the wrap, I don’t know if there are any real bad things. However, I honestly have no idea if it made my split ends go away after one use, so it’s a bit different than other masks which make you immediately recognize softer skin or, like a clay mask, are meant to be used repeatedly to get rid of an issue. Cons: The intense smell really disgusted me. The entire time I was wearing it, I just wanted the sheet off my face, which is unfortunate. But it smelled like dead fish and the beach to me. The second smell was okay, the latter not so much. I don’t think I’ll try this one again, unfortunately, because I was really excited to try this out after hearing about the benefits of seaweed. The mask is made out of kelp, which I thought was cool, but I think it backfired for me personally. Ten masks in 10 days seemed like a good idea and my skin is definitely more supple than it is with my normal beauty routine of using one or two masks a week. Trying out new and old masks alike definitely made me realize what I’m looking for in products and what sort of things I’m going to avoid in the future. So if you’re looking to try out a few masks to find the perfect one for you, 10 masks in 10 days is definitely the way to do it! If you’re trying out 10 masks in 10 days, let us know! And if you have ideas for other Korean beauty products you’d like us to feature, share your thoughts in the comment section below and be sure to subscribe to the site and follow us on Facebook, Twitter, Instagram, and Tumblr to keep up with all of our posts.